As gentle as a cleansing milk yet deep cleans without drying your skin. Created with natural organic extracts to meet the needs of all skin types. Lavender oil is known to balance oil production on the skin, lavender facial cleanser is excellent for daily use. One pump is enough to wash the face and neck. 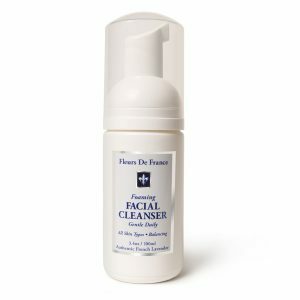 Great cleanser for the whole family! 3.4 oz bottle.